We are setting new standards with this development. We exploited all improvement potential by combing uncompromisingly all our field experience to create the “Speed Lifter”. 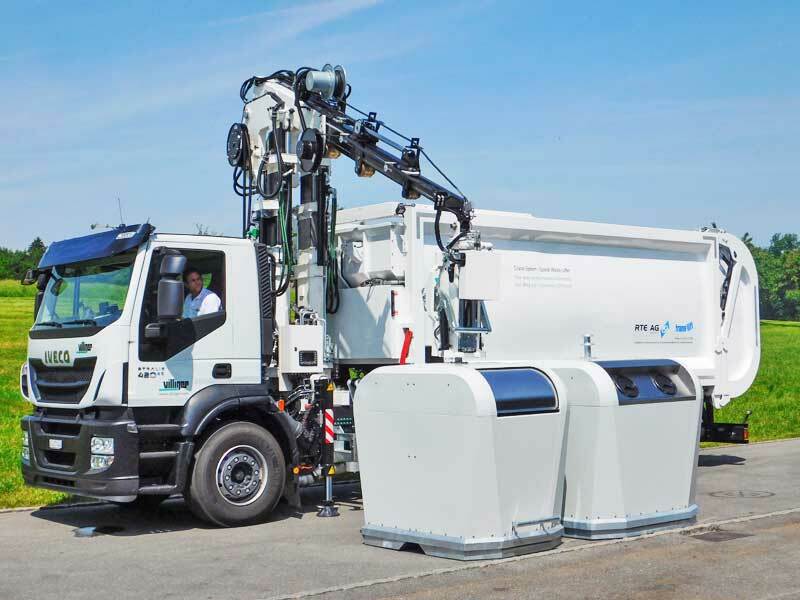 The result is a crane system which is not only better than all the other systems available on the market but also makes your disposal system more time and cost efficient. This system has the goal to be easy on drivers and containers. Overall solution from one single source The product range of Villiger Entosrgungssysteme is wide and deep. So we are able to provide a complete system solutions. 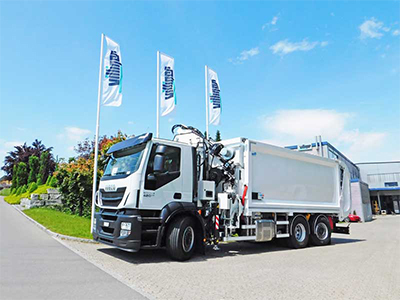 The under- and aboveground waste collecting systems as well as the fully automated crane system, a discharge unit and a mobile cleaning device do fully cover the needs of our clients. 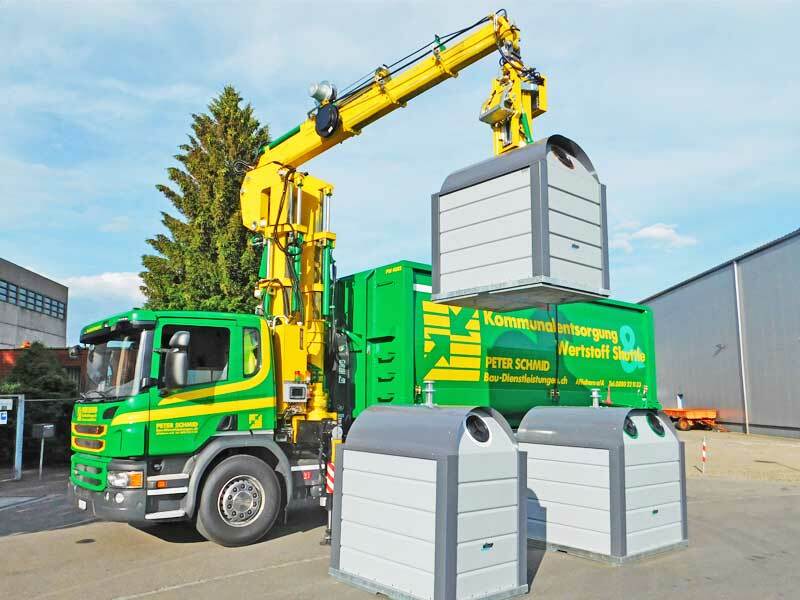 Good to know: All our products are compatible with conventional crane systems.